The improved spark energy and voltage of MSD's Blaster 2 Coils, combined with reliability, have made them a favorite for performance enthusiasts. Whether firing a restored BOSS 429 or a Saturday night circle tracker, the Blaster 2 has always gotten the job done. 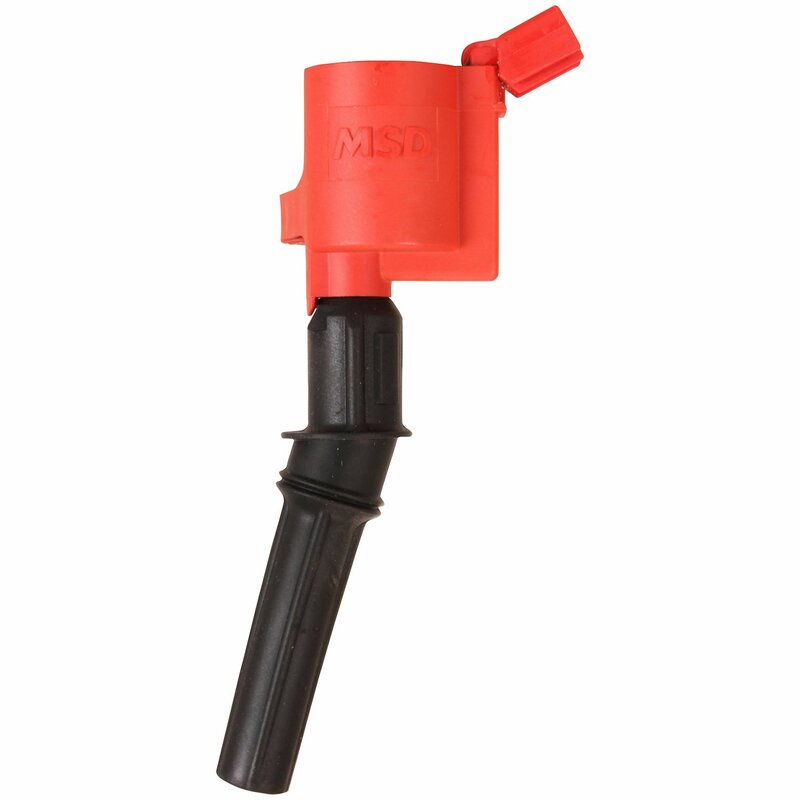 MSD is excited to offer Blaster coils for late model Ford engines with Coil-on-Plug technology! The new Blaster CoPs are designed as a direct bolt-in replacement coil for many SOHC Modular Motors. The housing and installation are the same as the factory, but that's where the similarity ends. Inside the MSD red housing, engineers spec'd better material to assemble the primary and secondary windings. The Coil-on-Plug design of the Blaster CoPs puts the spark energy right out of the coil and across the plug gap to improve the combustion and output of the engine.